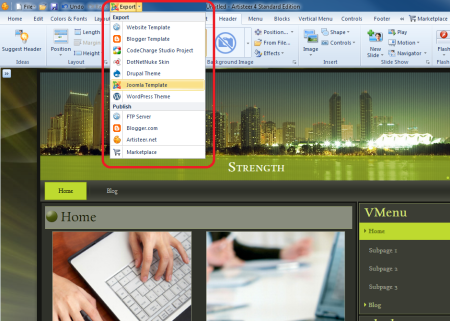 Export your template to a folder on your computer and zip the files. 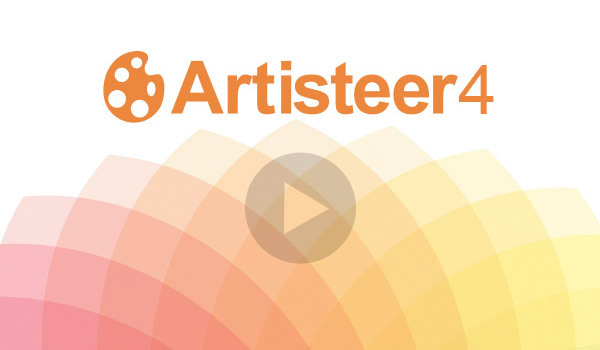 In Artisteer 4 you can export content to your Joomla!™ template as well. To do this, enable "Include Content" before exporting the template. Upload your newly created Joomla!™ template to your Website via the Joomla!™ Administration -> Extensions -> Extension Manager. 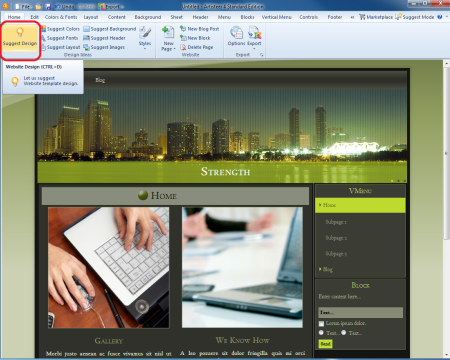 Congratulations on your great looking Joomla!™ template! For more information refer to how to use joomla templates.